Will ye sign on, lads? fer international talk like a Pirate day at Shags! 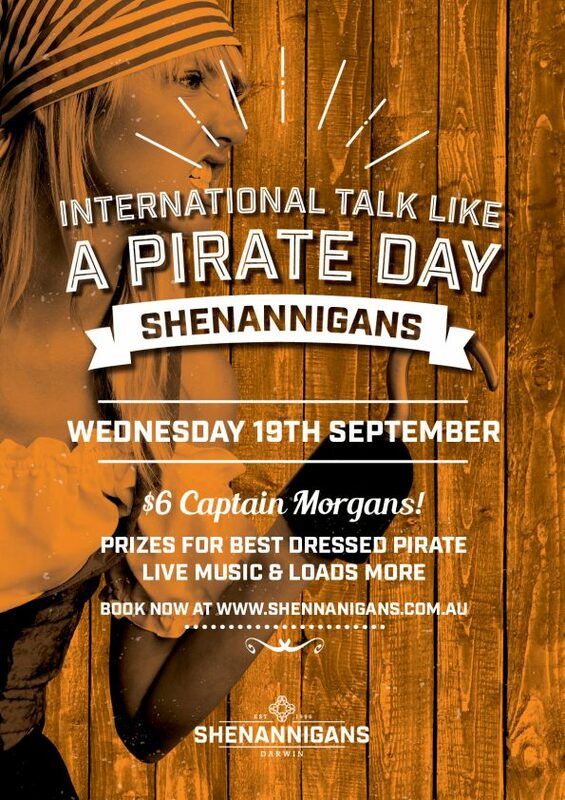 We be servin’ to the sky some rum with $6 cap’n morgans all day, shiver me timbers. Prizes fer the best dressed gentleman o’ fortune (Pirate), live music & loads more! Gather yer arr, scallywags an’ book a spot now!